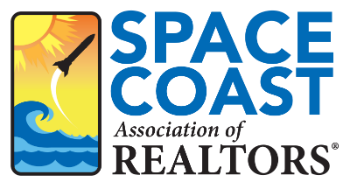 Professional Success - Transaction by Transaction 3 CE - Space Coast Association of REALTORS® Member Site. We’ve all seen it, MLS listings with no pictures, no room sizes, and no comments. You have to wonder, is this licensee just listing the property or trying to sell it? Licensees showing properties can be just as guilty; not leaving a business card, not following up the listing agent on how the showing an appointment! For far too long, licensees have been compared to bottom feeders. Let’s move up the food chain by using professional behavior in every transaction and with everyone we come in contact with during a transaction. This course will teach you about business etiquette, common courtesies, proper attire, the Golden Rule and so much more. Take a step up with Professional Success Transaction by Transaction. Objectives: At the end of this course, the student will be able to: • Identify behavior that erodes professional performance. • Discuss what constitutes professional behavior. • Understand items that can stop a transaction before it gets started. • Determine if you are showing property properly. • Know the REALTOR® Pathways to Professionalism. • Identify the most common transaction pitfalls. • Understand the issues regarding disclosures.